This article originally posted at Etwasluft. View the original post here. APPEA’s Natural Gas website is linked at the bottom of the image. The website features a gigantic flame, in case you were in any doubt as to what they’re all about. 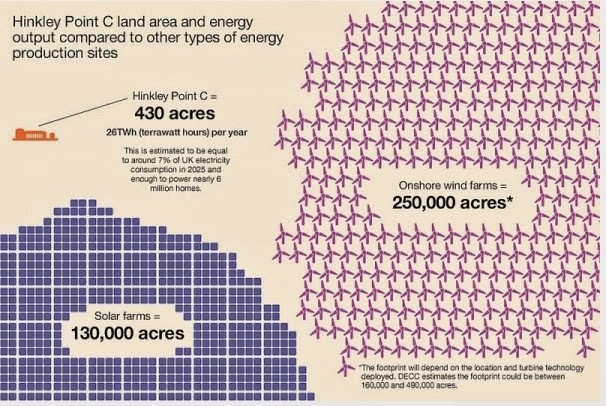 There’s an undercurrent of antagonism towards renewable energy on the page, so it makes sense that, in an effort to compare the land use needed for gas extraction, they’d pick wind farms and solar panels as their comparison technologies. In the infographic, APPEA claim that you’d need six turbines, each of three megawatt capacity, to generated fifty two gigawatt hours a year (enough to power around 8,000 homes). They claim that these six machines would covered a total of 2.5 hectares. 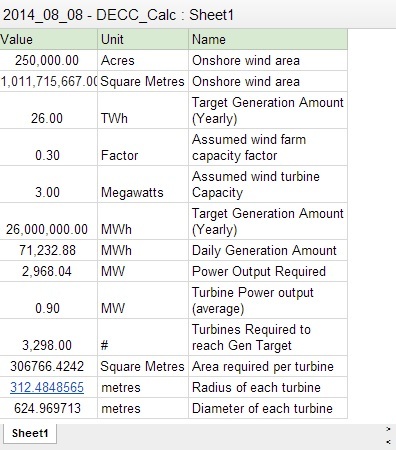 For this to be the case, the coverage of each turbine would have to be 4,167 square metres, with the tower having a diameter of 72 metres. If the sheep in that photo truly are 28.8 metres long, that’s about 2.3 standard bus lengths. They’re probably not. 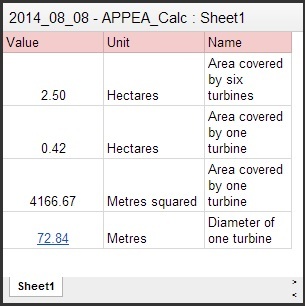 I think its more likely APPEA got their calculations wrong. ……625 metres wide? Surely, they’re forgotten a zero? They haven’t. They’re assuming that the land impact of a wind farm incorporates everything within the boundary of the farm, rather than the actual machines. As I mentioned earlier, it’s sneaky and dishonest – you can still use the land around the pad of the tower. If you’re still suspicious, here’s an overhead view of the Capital and Woodlawn wind farms. Obese, land-destroying death machines? Or, relatively small towers of steel that convert wind to electrical energy? You decide.